Since 2011, Samsung has been releasing two sets of flagship Android smartphones annually. For the first half of the year, the company has the S-Series. And for the second half, just in time for holiday gadget shopping, the Korean Giant unveils the Note line, which comes with an S-Pen stylus. In 2017, Samsung had a big hit with the Galaxy Note8 -- thanks to its stunning design, water-resistant build, massive display, Dual Camera module, advanced security settings, and of course, the S-Pen that's great for creative work on the go. As early as today - April 11, 2018, we are already starting to hear rumors about the much-awaited 2018 follow-up to the Samsung Galaxy Note Android phablet series. In this post, I'm going to give you nine of the most interesting things that I've seen online about what followers of the brand are already calling the Samsung Galaxy Note 9. Note, however, that these are not official details coming from the Korean company itself so we would all do well to take them with a grain of salt. 1. Samsung could be eyeing a July 2018 release date. Historically, Galaxy Note smartphones were announced in the month of August and released in September. This year, however, the brand might release the newest iteration as early as July. 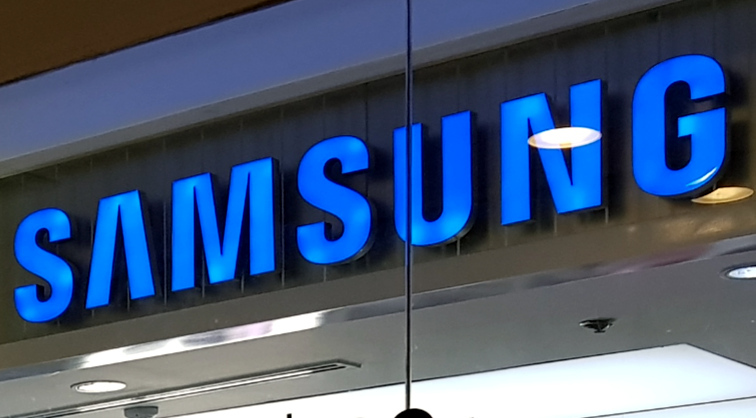 In fact, according to insiders, Samsung has just started the production of large SuperAMOLED panels in preparation for the early launch of Note9. 2. Note9 could have a larger screen than Note8. The screen of the 2017 flagship Note handset measured 6.32 inches across. Well, it is said that its follow-up with have a 6.38-inch panel also with curved sides and 18.5:9 aspect really and a resolution of either QuadHD or 4K. 3. Samsung Galaxy Note 9 will be an imaging powerhouse. Just like its predecessor, we can expect the new model to still have a Dual Rear camera. But what's special about the refresh is that - akin to the Samsung Galaxy S9 - it will feature variable aperture for great imaging performance across various lighting conditions. 4. The internal hardware will be more or less similar to that of the Galaxy S9+. Note8 had been called a larger version of the Galaxy S8+ with stylus -- and it appears that we could say the same thing about the Note9. With that, I'm expecting the Note8 to be powered by either a Qualcomm Snapdragon 845 or Exynos 9810 processor that's complemented by 6GB of RAM and at least 128GB of expandable storage. 5. Slow-Mo videos? No problem. Samsung Galaxy S9 and S9+ have the ability to record high-definition videos at a whopping 960 frames per second. I guess it's but natural for the Note9 to have this feature too. 6. How about new S-Pen features? Every year since the first Note handset was launched, Samsung has been refining the S-Pen stylus look and software features. This year, I'm excited to see what the company has in store for us in this department. 7. The headphone jack would most likely stay. If you ask me, the fact that the Korean Giant didn't remove the 3.5mm audio jack on the Galaxy S9 and S9+ means that the company sees this feature's continued relevance to consumers. That said, the Galaxy Note 9 will still have this feature. 8. Most possibly, a Larger Battery. Since the Note7 explosion fiasco, Samsung has become more careful in crafting its smartphones' batteries. Note8 had a modestly sized 3,300 mAh pack, which I thought could have been a bit bigger -- but I guess Samsung tried to be more cautious with it than anything. This year, the company might boost the Note9's battery capacity to 3,850 mAh that - along with the more energy-efficient processor - should result in longer uptime. 9. Samsung might skip the In-Display Fingerprint Scanner. I was hoping that the Korean Giant would finally be able to integrate a Fingerprint Sensor on the touchscreen of the Note9. But based on what I've been hearing, it appears that the company is not yet ready to deliver that feature on this year's flagship phablet. I'd love to be pleasantly surprised, though. I mean, Samsung still has time to work on it since the technology is already out there. So there you have it! These are all things I know so far about the upcoming Samsung Galaxy Note 9. Are you excited about this beastly Android phablet too? Let me know what you want to see on this model via our comments section below. Oh, and kindly stay tuned for updates!